Lamborghini has made quite good sales with its Gallardo, same model also made company’s return to one-make racing with Super Trofeo Series. 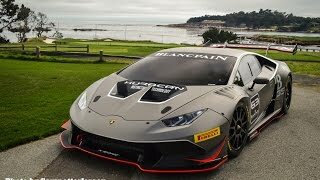 Time moved on and entered Huracan to replace Gallardo and here we are with Lamborghini announcing the much awaited Lamborghini Huracan LP620-2 Super Trofeo 2015. With unveil of this version Huracan marked its entry in the race car slot as well. So what are we waiting for, we have all what you want to know about the thunder beast, all you gotta do is, scroll down and keep your eyes glued to know more about this more powerful lighter model, giving you all what you expected from your most loved Gallardo. As of now company hasn’t released any information related to interior but being a race-track model certain basic configurations like, bucket seats, use of lightweight material, multifunction sports steering wheel and very less integrations that can distract driver’s mind. Apart from these, whatever we get in the interior of Lamborghini Huracan LP620-2 Super Trofeo 2015 will be a treat for customers. 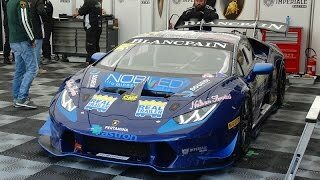 Exterior of Lamborghini Huracan LP620-2 Super Trofeo 2015 is exactly what you would have ever dreamt of, it’s aggressive, tough and very much concentrated upon the performance of Lamborghini Huracan LP620-2 Super Trofeo. Starting with the front fascia, the sharper looking and comes with a huge lip spoiler and jaws that make sure sufficient air reaches engine and brakes. Also created are two massive extraction vents over the hood to increase air draw. The stronger it is, as easier it is to ‘unpin’. Yes you read it correct, for swift change and repair hood is attached to rest of the body with quick-latch hood pins and same is with much of body panels. Canard winglets are located on nose which subsequently reduce drag and increase downforce. Wheels are hugging the arches as close as they could be and side skirts get an aggressive larger look accompanied by a much larger rear wing. Apart from the vent and spoiler we mentioned earlier, front fenders too come with integrated venting while the enormous side intakes take a different leap, another way to create a difference from standard model. 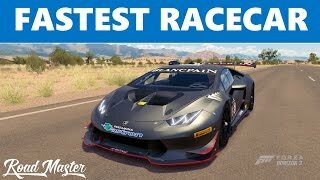 Rounding up the entire exterior we would say the entire exterior of Lamborghini Huracan LP620-2 Super Trofeo 2015 portrays Lamborghini’s extremely radical approach while bringing this new release. 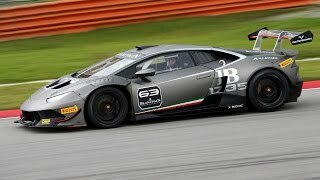 Lamborghini Huracan LP620-2 Super Trofeo 2015 is powered by same 5.2 Liter V10 engine, mounted right behind the driver but thanks to lighter weight (300 pounds lighter than standard model) and other exhaust modifications that now Lamborghini Huracan LP620-2 Super Trofeo now rolls over total output of 620 hp and peak torque of 570 nm. Engine comes with a rear wheel driving mechanism for the first time and besides this with Lamborghini Huracan LP620-2 Super Trofeo 2015, company has also ditched its seven-speed dual clutch transmission and now is mated to six-gear sequential gearbox by Xtrac.